The SFFaudio Podcast #081 – Featuring a complete and unabridged reading of The Code Of The Poodles by James Powell! This is a humorous FANTASY/CRIME story from one of the best in the business, James Powell. Check out our talk with Powell (in SFFaudio Podcast #020) and his first published story, The Friends Of Hector Jouvet (in SFFaudio Podcast #030). 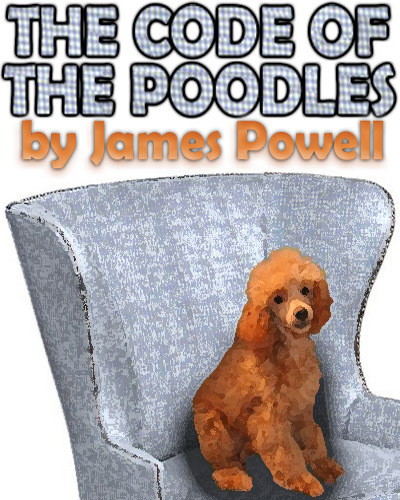 The Code Of The Poodles comes to us courtesy of James Powell himself. Thanks James! Powell’s recently published collection of short stories, A Pocketful of Noses: Stories of One Galnelon or Another, is available through the publisher, Crippen & Landru, and many online book retailers. Thanks also to the terrific J.J. Campanella for the excellent narration. Be sure to check out Campanella’s own terrific HUMOR/CRIME story Hamlet And Eggs |HERE|. In her will Aunt Flora left all her money, her house and estate to the care of Peaches Mimosa, her miniature apricot poodle. Her nephew Toby hasn’t a legal leg to stand on, not unless he can get a psychiatrist to declare Peaches’ guardian non compos mentis. But Peaches, never one to let things lie, has a few plans of her own. First published in the October 1990 issue of Ellery Queen’s Mystery Magazine.